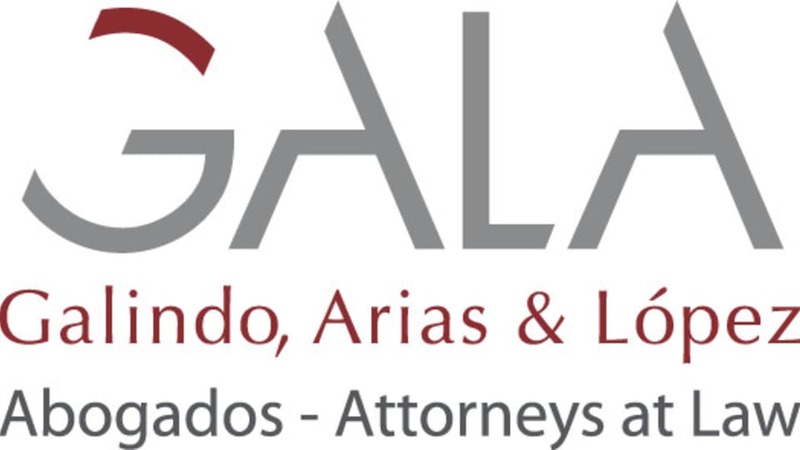 Galindo, Arias & López (GALA), one of the most renowned full-service law firms in Panama, prides itself on a 50-year tradition of excellence and innovation. Committed to provide legal services of the highest quality and ethical standards, the firm maintains an ever-growing, worldwide client base with business interest in Panama and throughout the Latin American region. GALA stands out among its competitors, thanks to its expertise in complex local and cross-border transactions, and excels in Panama’s key business sectors: aviation, energy, telecommunications, banking, infrastructure, real estate, transportation and logistics, tourism, and commerce. On top of exceptional legal counselling, through its affiliate GALA Trust and Management Services, Inc, with over 30 years of experience, GALA provides effective and comprehensive advice in the field of estate planning, asset protection, wealth management, accounting and administrative services. The company’s main priority is the creation of added value for its clients tailored to each individual requirement. Gala Trust and Management Services, Inc operates under the supervision of Panama’s Banking Regulatory Office. Banking, insurance and capital markets: GALA handles matters ranging from the structuring of complex loan transactions to advising on intricate regulatory issues. GALA is the go-to firm for international financial institutions trying to operate in the region. Its recent transactions include, advising Bicapital Corporation on the opening of the Panamanian Branch of Banco Industrial, the largest bank in Central America. Corporate and M&A: GALA advises on domestic and cross-border mergers, acquisitions, joint ventures, strategic alliances and reorganisations. The firm has been involved in many of the region’s most important M&A transactions, including, advising Liberty Global, a cable television company with operations in 20 countries, with the regulatory matters of the acquisition of Cable & Wireless Communications PLC (CWC), and its branch in Panama. Litigation and dispute resolution:The firm has a large and very effective litigation practice in Panama. GALA’s litigation attorneys have successfully argued on behalf of clients in a wide range of industries, including energy sector leaders Petroterminal de Panama and Gas Natural Fenosa. Its recent transactions include, successfully advising the Panama Canal Authority’s international legal team on issues of Panamanian law in its recent arbitration with the contractors responsible for the Panama Canal Expansion Project. Intellectual property: The firm has an experienced team who can assist clients on the registration and protection of trademarks, patents, slogans, trade names, industrial designs, and invention patents. It has wide experience in IP litigation. Project and asset finance: GALA offers legal counsel on innovative finance structures for the acquisition of assets and the development of the largest projects in Panamanian history. Its recent transactions include, advising the Panama Canal Authority on project finance of the US$5.25 billion Panama Canal Expansion Project and advising Union Eolica Panamena, S in the development of a 66.8MW wind energy generation project. Real estate: GALA advises on complex real estate development, zoning matters and condominium regulation. Its recent transactions include, advising on the development of the 1,400-hectares project known as Ciudad Costa Verde, which receives more than US$120 million in infrastructure investment. Tax (local and international): GALA advises clients on the tax implications arising from cross border transactions and structuring, guiding them on the best way to manage and use the available tax incentives and regimes, including the application of Double Tax Conventions.